Yukon Sports Betting - Are Online Sports Books Legal? Yukon sports betting is available to the residents of this sparsely-populated federal territory in Canada, but it’s controlled by the local government through a service known as Sport Select. The region’s 37,000+ residents can wager on their favorite teams by purchasing tickets at licensed retailers or visiting the official website of the service. Just because you live in a remote area, you shouldn’t be deprived of your fundamental right to wager on sporting events. That’s where this article comes in, as we’ll discuss the options available to Yukoners who want to wager on their favorite NHL or CFL team. Before we continue, however, it’s important to note that I am not an attorney. I’ve never studied law, and I don’t even know any lawyers personally. While the information in this article is meant to help our readers, it’s not a substitute for the advice offered by a professional in a three-piece suit. If you want to make sure you’re protected in a legal sense, sit down with an expert before embarking on your new career as a sportsbetting expert. The Yukon lotteries department has partnered with a service known as Sportselect to offer legal sports gambling to the populace. Customers can make their predictions online or at a licensed retailer, although wagers must always be made on two or more teams (parlay betting). A number of betting options exist, including over/under, point spreads, and futures. Residents of the Yukon are free to use the Internet to gamble on sports, and they won’t be breaking any laws in the process. Canada has no restrictions on gambling with offshore casinos and books, and this opens up a world of possibilities for Yukoners. The first step is to find a virtual bookmaker that meets your needs. The acceptance of the Canadian dollar is a major plus, and French-speaking Canadians need to make sure their native tongue is supported on the site. It’s also important to do some research by checking out online forums and watchdog sites. Make sure that the bookmaker has a reputation for paying winners and generally behaving in a reputable fashion. If they don’t, then you’re better off looking elsewhere. Due to the low population and relatively isolated location, the only institute of high learning in the Yukon Territory is a community college that lacks an athletic program. This means there are no local collegiate sports to wager on, and anyone wanting to do so will need to look to neighboring regions such as the Northwest Territories or British Columbia. Sporting events are a major part of life in Canada, especially when it comes to national pastimes such as hockey and curling. Yukoners follow these sports and cheer on their national teams just like any other Canadian citizen, but they don’t have any pro or semi-pro sports teams of their own. This lack of pro sports doesn’t need to be an impediment, however. People still play sports in the Yukon, even if they’re not affiliated with some world-famous franchise. As long as two or more people are entering into an athletic contest, there’s the potential for some betting action. The next time you stumble across an annual race or even a backyard game of soccer, look around to see if you can find someone who might want to place a friendly wager. • Join a Bracket Pool – This form of harmless wagering lets participants put money into a prize pool. They must then look at the beginning bracket of the tournament and try to predict all the eventual winners. After March Madness has concluded, the person with the most correct predictions gets some or all of the prize money. These contests can often be found in an office setting, although they’re also offered online at a number of sites. • Online Betting – Yukoners with Internet access have access to online bookmakers like everyone else, and this allows them to track down a virtual book and wager on any of the 68 participating NCAA teams that catch their fancy. • Wager with a Friend – This is the oldest form of sports betting, and all it requires is two friend or co-workers with a passion for gambling and/or athletics. The two participants can set a point spread, or they can keep things simple and just wager on the straight outcome of the game. There’s no vigorish to worry about since a bookie isn’t involved, but you should always make sure your fellow gambler is willing and able to cover any losing bets. 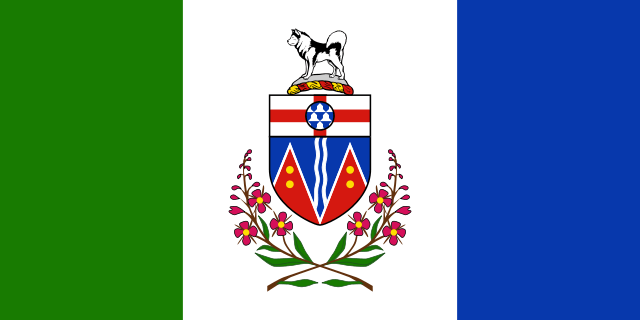 • Find a Local Bookie – While the Yukon has just over 37,000 residents, I’d be willing to bet that a couple of illegal bookmakers are floating around the capital city of Whitehorse. These individuals operate outside the law by offering betting lines to customers, and their odds are often drawn from Las Vegas or other leading bookmaking centers. If this sounds appealing, I suggest asking your friends if they know any bookies they can recommend. You can also try searching at local taverns, which is one of the stereotypical hangouts for such individuals. Yukon sports betting is limited, but the ability to walk into a convenience store and wager on teams is still superior to what’s available in most parts of the world. Online wagering is an ever-present choice for gamblers, and there are also last-ditch options such as wagering with friends or finding an underground bookie.